The present explanatory note was elaborated according to the Organic Law number 2/2006, 17th of April, the Decree-Law number 237-A/2006, 14th of December, and the website of the General-Direction of Registry and Notaries. Through a declaration, in case of minor children or handicapped, made by the father or mother who acquire the Portuguese nationality. Through marriage, if the foreigner has been married for more than three years with a Portuguese citizen and if during matrimony he/she declares the will to acquire Portuguese nationality. Through companionate marriage. If the foreigner has lived for more than three years with a Portuguese national, he/she can acquire the Portuguese nationality after the recognition action of the situation at the Civil Court. When in capacity, through a declaration, for those who have lost nationality (due to a declaration given during his/her incapacity period), expressing the will to acquire it again . In case of full adoption of a foreigner by a Portuguese. According to the General-Direction of Registry and Notaries, the norm is applied to those foreigners that were fully adopted by a Portuguese national, according to a decision that became final on the date after the entrance into force of the Law on Nationality number 37/81, 3rd of October. To those individuals who have acquired before the Portuguese nationality and, though having lost it, have never acquired another nationality. To those individuals who were born abroad and who have at least a Portuguese national 2nd grade ascendant in the direct line and that has never lost his/her nationality. To those individuals who are not considered stateless and that have acquired the Portuguese nationality, to those who have Portuguese offspring, to members of communities with Portuguese ascendancy and to foreigners that worked, or are called to work, in the service of the Portuguese state or of the national community. Who can request Portuguese nationality? Children who have attained their majority, if parentage was established in minority. Declarations for the attribution of nationality may be done by the concerned person, per si or proxy, if capable, or by the legal representatives in case of being considered incapable. 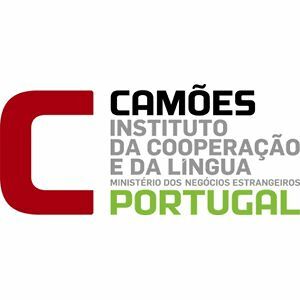 Law effect – individuals born abroad whose birth certification mentions that the mother or father was in the service of the Portuguese state at the time of birth. The declarant must present documentary evidence that his/her progenitor is in the service of the Portuguese State abroad. Register their birth at the Portuguese Registry Office. Declare their intention to be Portuguese. Declarations, of which is depending the attribution, acquisition or lost of Portuguese nationality, must make part of the national central registry of the Central Registry Office. Declarations of nationality can be given before diplomatic or consular agents and, in this case, they are unofficially registered with the required documentary evidence, which will be sent for the effect to the Central Registry Office. Declarations for attribution, acquisition or lost of nationality and naturalization of foreigners are legal acts that must be submitted to obligatory registry. The registration is drawn by note or registration. Portuguese law admits dual nationality and multi-nationality, but those who are interested must ensure before the authorities of the Foreign State that they will not have any problem in that country due to the dual nationality. Those Portuguese that have acquired a foreign nationality after October 1981 do not lose their Portuguese nationality, except if they declare before Portuguese authorities that they want to lose their Portuguese nationality and if they prove that they have another one. The attribution of Portuguese nationality produces effects from the moment of birth, without prejudice of the validity of juridical relations established before and based on another nationality. The changing effects regarding nationality come into force after the date those acts or facts are registered; they depend upon it. Documentary evidence may not be required if the officer has official knowledge of that circumstance. In order to minimize your waiting time, when submitting documents to this Consular Section, please call us or email us for an appointment. Thank you for your undestanding and cooperation!